The only perfect food joint is in paradise. The most reliable service providers know that they can only guarantee about 90% customer satisfaction. It’s fine to look at those “100% Guarantee” web images and banners, but the truth is, a 100% fault-free business is known to no one. It just doesn’t exist. Smartphone companies, telecommunication businesses, dealers in perishable goods, and regular service providers all have one thing in common: they receive complaints from customers, every single day. 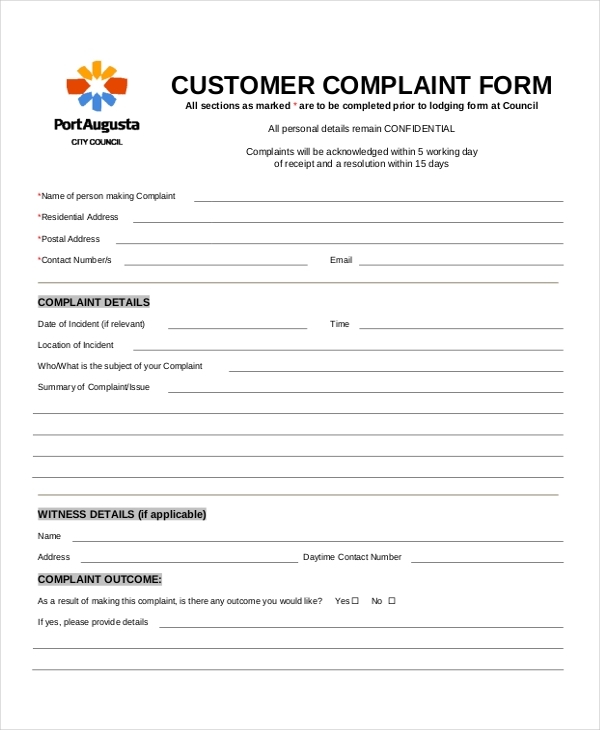 Record these issues in consumer complaint forms and use the data to improve your customer service. The purpose of this form is to help you identify errors in your product or services from your customers. You should fix the errors as soon as possible before your customer base decides to find an alternative solution. 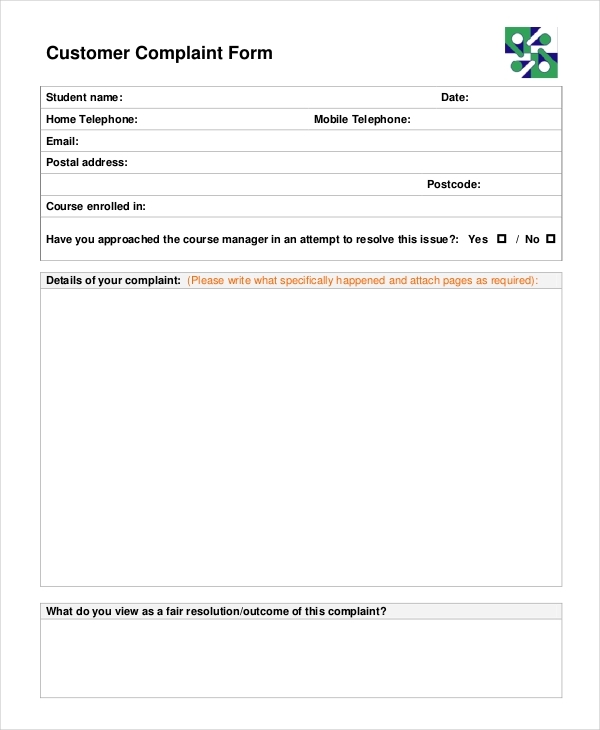 The form was designed to help you understand what customers think about your product. Although your business isn’t 100% accurate, it is best to understand what customers often think when they look at or buy what you sell. 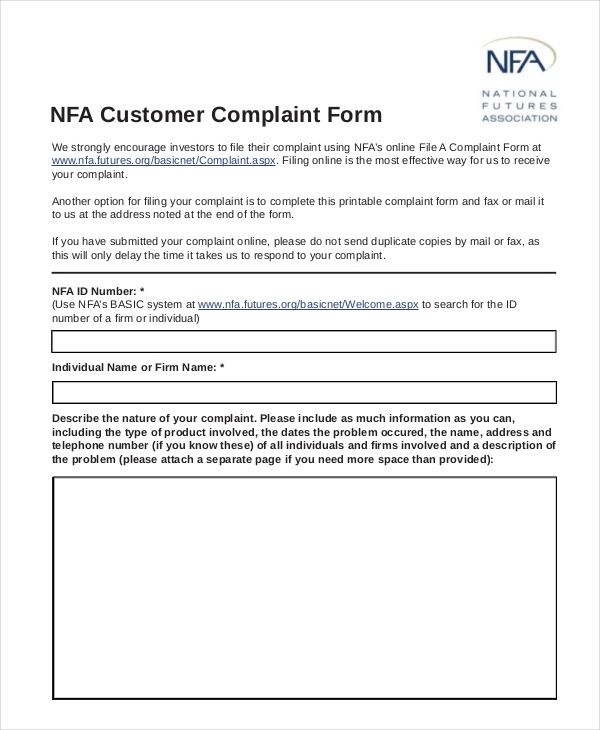 The NFA form is an easy-to-edit tool that shouldn’t take you long to customize. 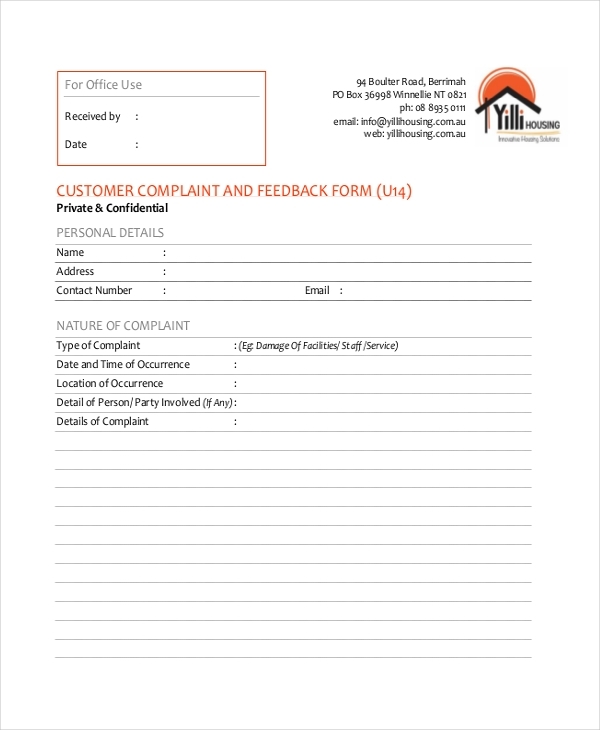 The form is a professional document that you can use to get regular customer feedback for your product. Money matters are usually delicate, and banks have received a lot of complaints than any other entity in the world. Don’t let your banking business face customer crisis. 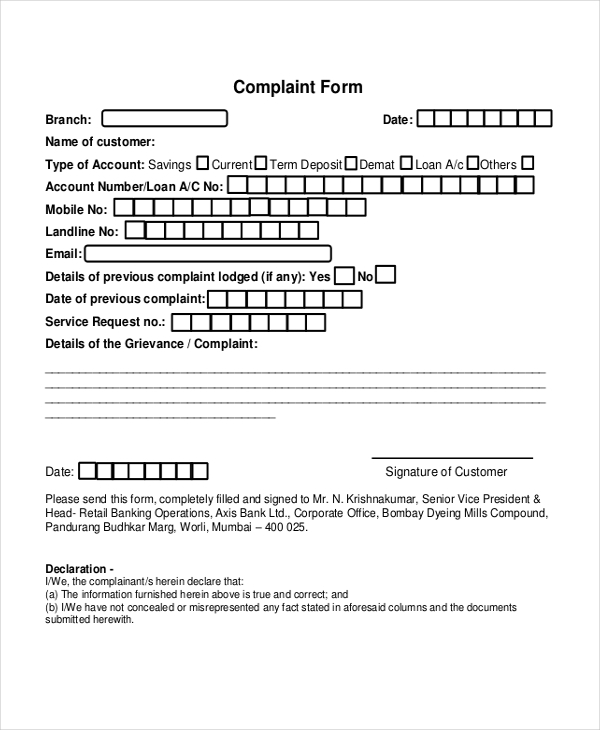 Use this form to evaluate and solve customers’ complaints. The template is easy to fill, simple to edit, and customizable. Albeit you should use it as is, it is okay to customize it before issuing it to customers to fill in their complaints. The purpose of this form is to gather as much information about your product from customers as possible. You should assess the complaints, and begin solving them one at a time. 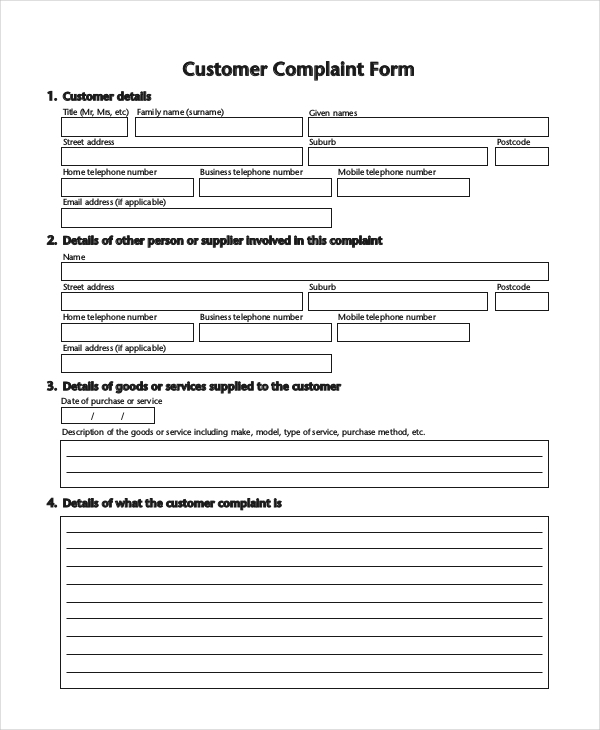 You can use this form to investigate what customers think about your product, and take the necessary action to solve complaints and problems if there are any. Download the form for free. The strength of the relationship between your business and your customers will depend on how well you can handle customer criticism. Many businesses often lose loyal customers because they have the tendency to ignore the disparagements that come from customers. It gives an impression that your business only cares about how much profit it makes and how many items customers buy per day. You cannot ignore consumers’ objections at all; even if you think that your product is of top quality, there will always be a group of buyers who think that your product isn’t good enough. That’s a good thing because you get the opportunity to interact with consumers to know what they want. What are The Additional Mediums for Customer Complaints? 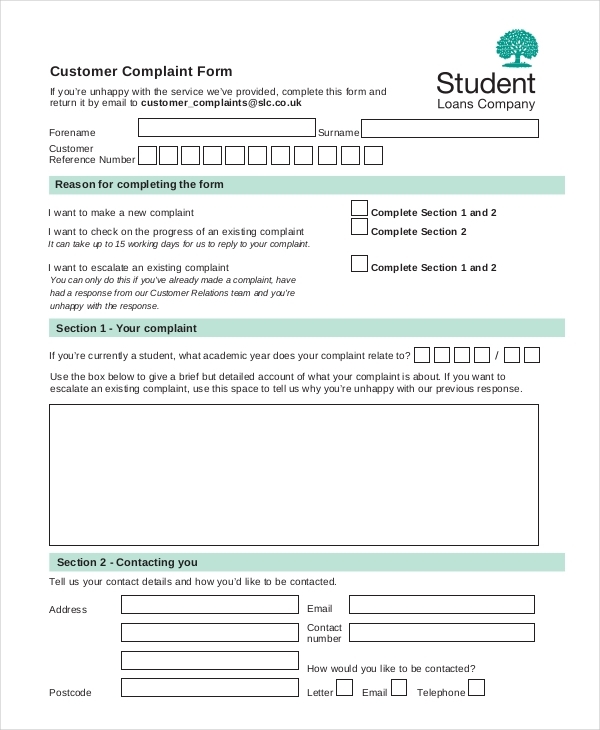 Blank complaint letter templates can use to get customer feedback. You can issue the template whenever an issue arises although it is wise to ask for customer feedback from time to time to make your business better for them. Surprisingly, emails have become somewhat popular than phone calls. Moreover, in the age of mobile apps, where anyone can download smartphone email apps for Android, iOS, and Windows Operating Systems, sending emails is not only easy but also it has become a major means of communication. You should, therefore, allow your customers to present their complaints through emails, too. Customers can call your business to present their complaints. Allow them to speak, mainly because they wouldn’t say a single word if they didn’t value your business. If your company is growing by leaps and bounds, you may need to a hire a professional customer support team. Moreover, the customer may use an angry tone during a phone conversation. It is important not be put off by the attitude. You shouldn’t look at a customer’s complaint as a downfall. It is a great opportunity for you to learn something new about your business. 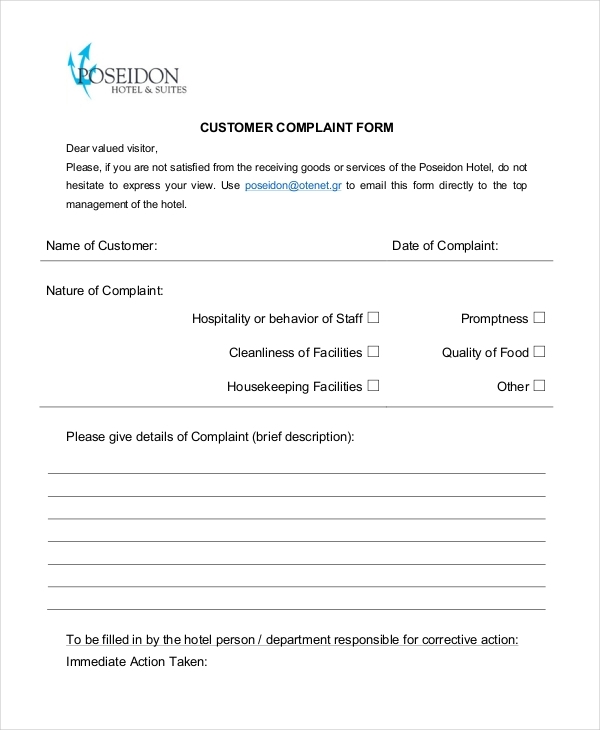 A complaint will help you understand how customers view your product, making it easy for you to improve your goods and services, and handle future complaints as they arise.